In the Philippines and probably everywhere else, you might have encountered this before. You and your friends are happily eating away. All of the sudden, one of your friends dropped his or her food on the table. Those 4 words are the same words I’ve heard since I was young. Every time someone drops his food, it’s the same phrase over and over. Perhaps these words of wisdom are a century-old tradition. A team of researchers, however, decided to finally take a look at “The 5 Seconds Rule” and see if there is really some truth to the saying. 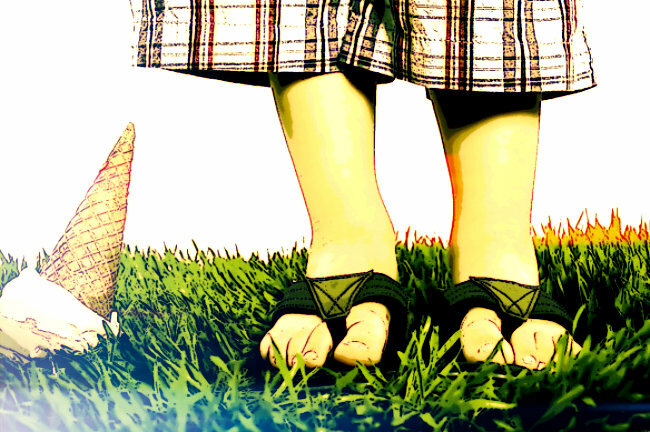 People who are obsessed with cleanliness will hesitate to pick the food from the floor – and there is some basis to it. 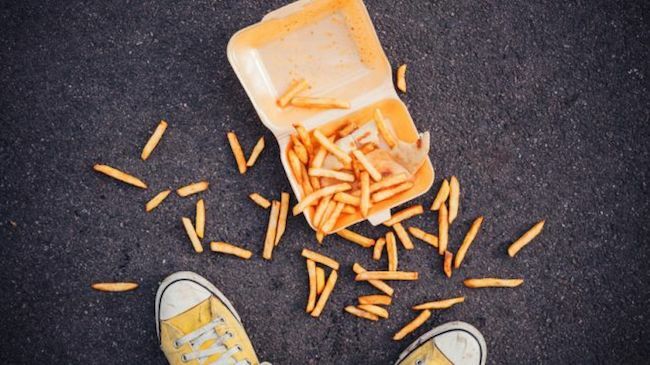 According to Professor Anthony Hilton of Aston University, consuming food dropped on the floor still carries an infection risk as it very much depends on which bacteria are present on the floor at the time. However, he stated the results of his and his students’ research proved that the 5 seconds rule has some merits to it. The experiment? The team monitored the rate of transfer of 2 common bacteria on different kinds of surfaces to food that are commonly dropped on the floor, such as biscuits, sandwiches, and pasta. The interval is up to 30 seconds before they pick it up. The length of time that the food is on the floor is the significant factor for bacteria transfer to the food itself. Carpet is actually the cleanest surface to drop food onto, contrary to its connotations as a fibrous home for germs. It carries “the lowest risk of bacterial transfer onto dropped food. After 5 seconds, the rate of transfer increases. The team also surveyed a number of people. They found out most (87%) of the respondents will likely eat food that has already been dropped on the floor or have done it in the past. 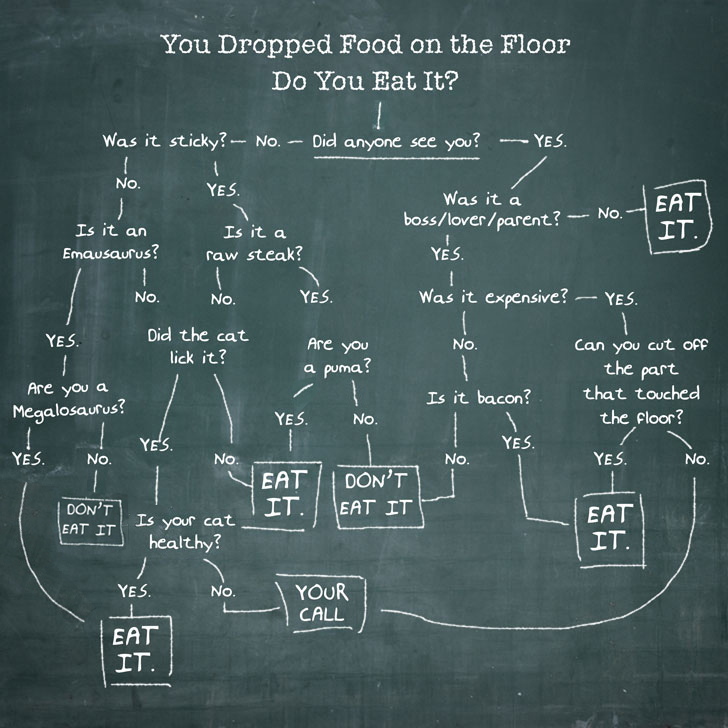 The findings in this research has not yet been replicated, reviewed, or published in any important scientific journals, so it’s wise to still think twice about eating your food on the floor. Also, think about the food you dropped before picking it up. You might be picking up a dropped biscuit, but if it’s cereal then I don’t think you should.